A new smartphone application has been launched by the Wikimedia Foundation: "Wikimedia Commons" allows users to easily add free images encyclopedic website and collaborative. 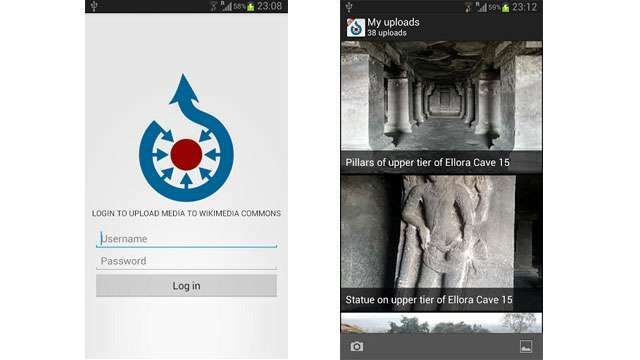 The multimedia library Wikipedia may grow rapidly with this new application on Android and iOS, "Wikimedia Commons" can get online quickly and easily via their smartphone, which then become their photos free of copyright. It is also possible to upload multiple files, add categories (only on Android for now) and share new content sharing sites images. Users must obviously accept to put their content under a free license. Thus, the image bank of Wikipedia will be able to enrich much faster, which is the goal of the division "Commons" of the Wikimedia Foundation, launched in 2004, and already currently hosts more than 16,8 million content, in the public domain or under a free license. The application may change based on feedback from users who are asked to give their opinion on the official Wikimedia blog: "Use the application daily to the test and let us know if you encounter any bugs or if you have good ideas to improve its functionality in the future. " For those who do not have a phone running iOS or Android, a mobile version of the website is also available.